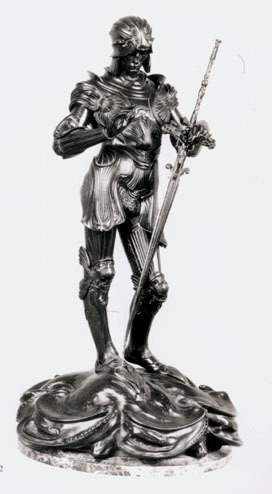 St. George is an independent cast from the original model for the figure placed on the west end of the tomb of the Duke of Clarence in St. George's Chapel, Windsor. Gibson to Gilbert: British Sculpture 1840-1914. Exhibition catalogue. London: The Fine Art Society, 1992. No. 29.